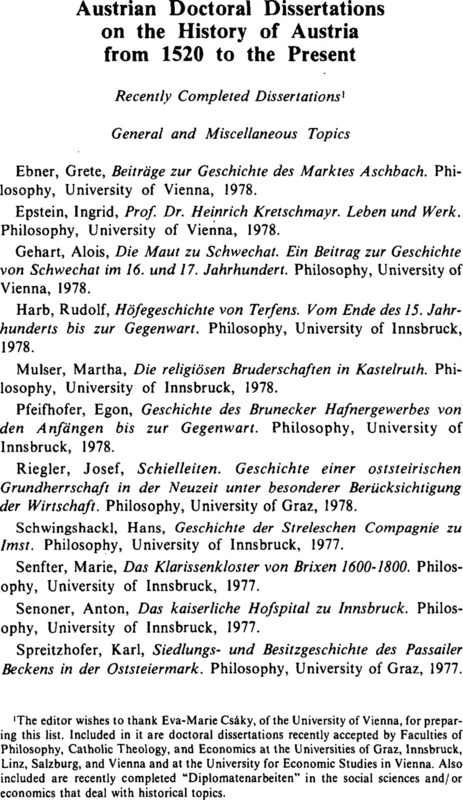 1 The editor wishes to thank Eva-Marie Csaky, of the University of Vienna, for preparing this list. Included in it are doctoral dissertations recently accepted by Faculties of Philosophy, Catholic Theology, and Economics at the Universities of Graz, Innsbruck, Linz, Salzburg, and Vienna and at the University for Economic Studies in Vienna. Also included are recently completed “Diplomatenarbeiten” in the social sciences and/or economics that deal with historical topics.